Featuring an outdoor shared pool and free private parking on site, Monte Novo Village is a holiday home with accommodation for 8 persons in a private condominium at a 2-minute drive from Paderne. Situated 600 metres from The Strip - Albufeira in Albufeira, this apartment features a balcony. The apartment is 700 metres from Oura Beach. Free private parking is available on site. There is a dining area and a kitchen equipped with oven. Offering 10 outdoor swimming pools, palm tree garden and a kids club, Salgados Palm Village Apartments & Suites - All Inclusive is located in Albufeira. Yucca2 is sited in Patã de Baixo and features a private outdoor swimming pool, as well as outdoor barbecue facilities. 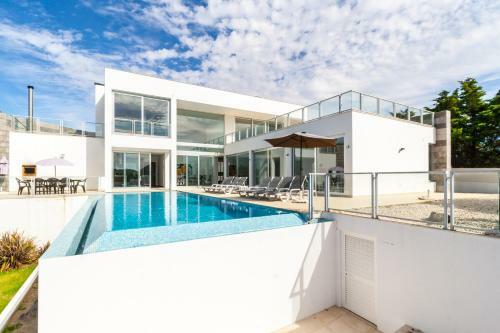 The house is 2.8 km from popular Falésia Beach and a 13-minute drive from the Albufeira centre.